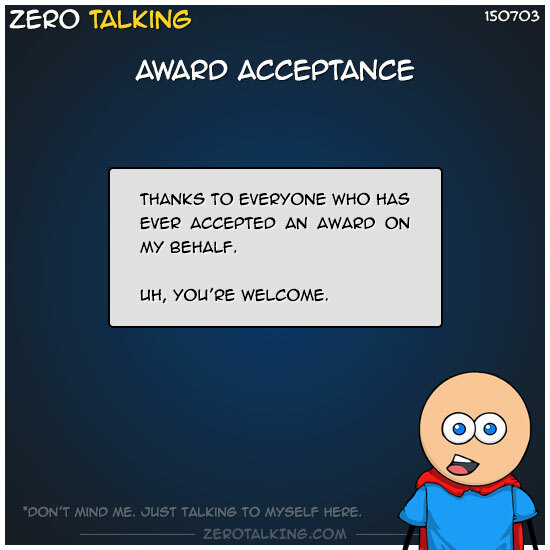 Thanks to everyone who has ever accepted an award on my behalf. *Don’t mind me. Just talking to myself here.